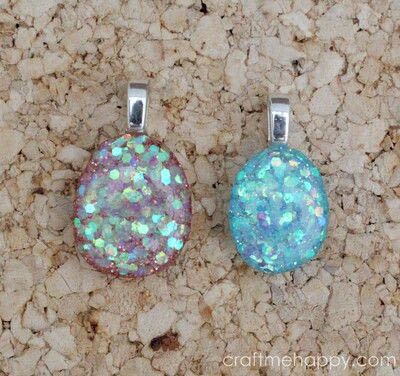 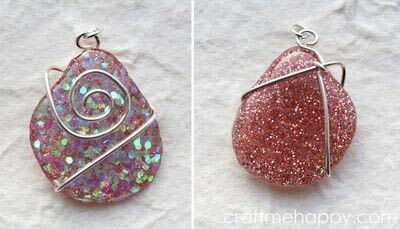 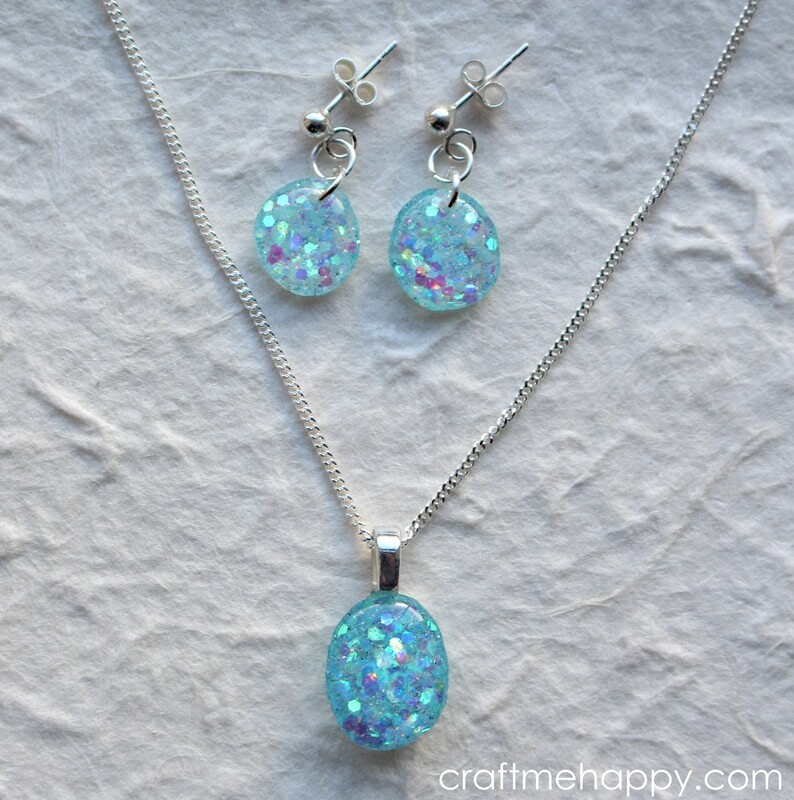 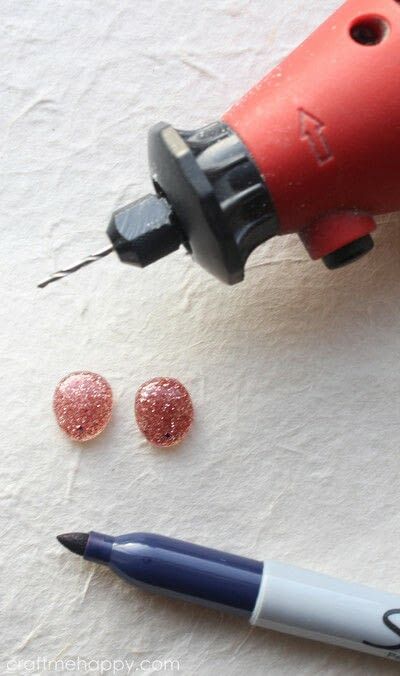 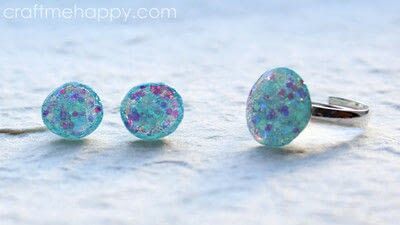 Please take a look at a new method I've been working on for making lots of little beads, pendants and nuggets out of Ice Resin and glitter without using a mould. 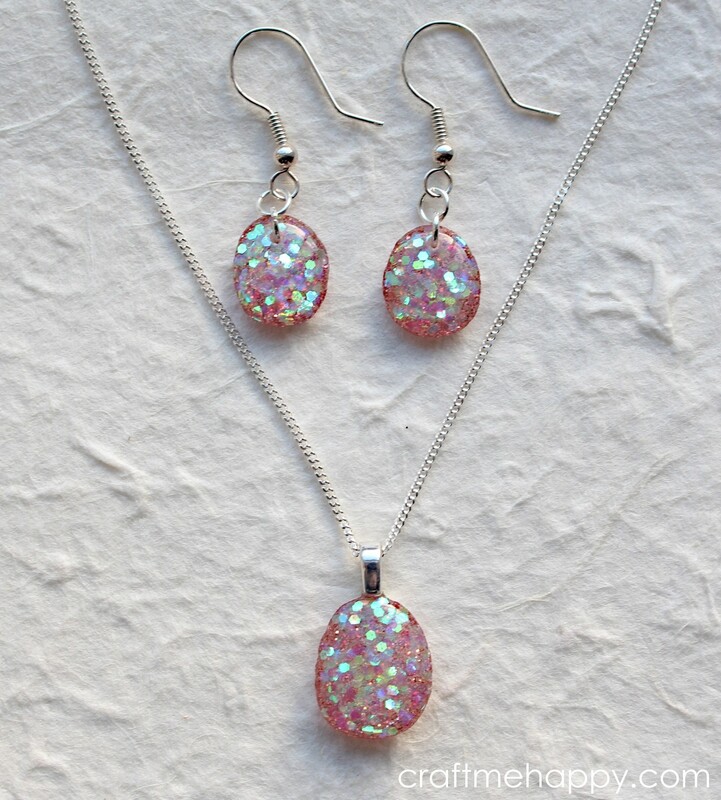 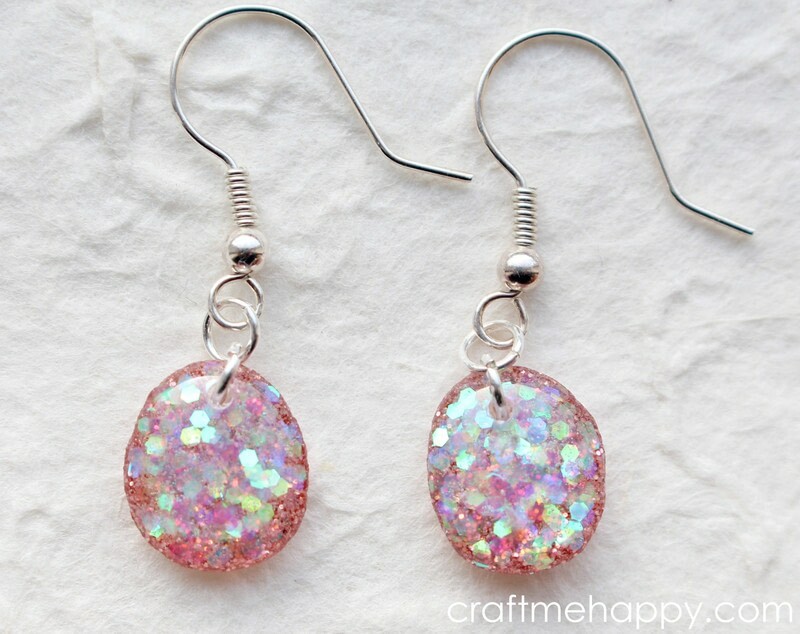 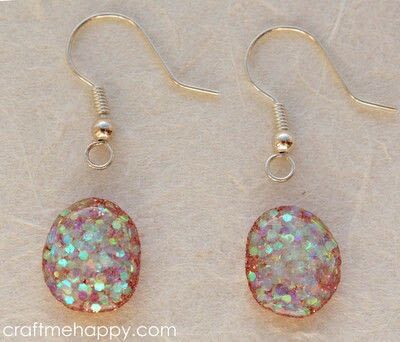 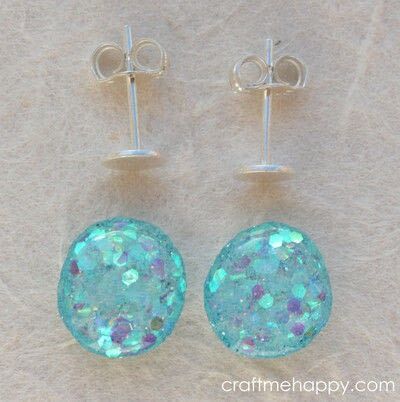 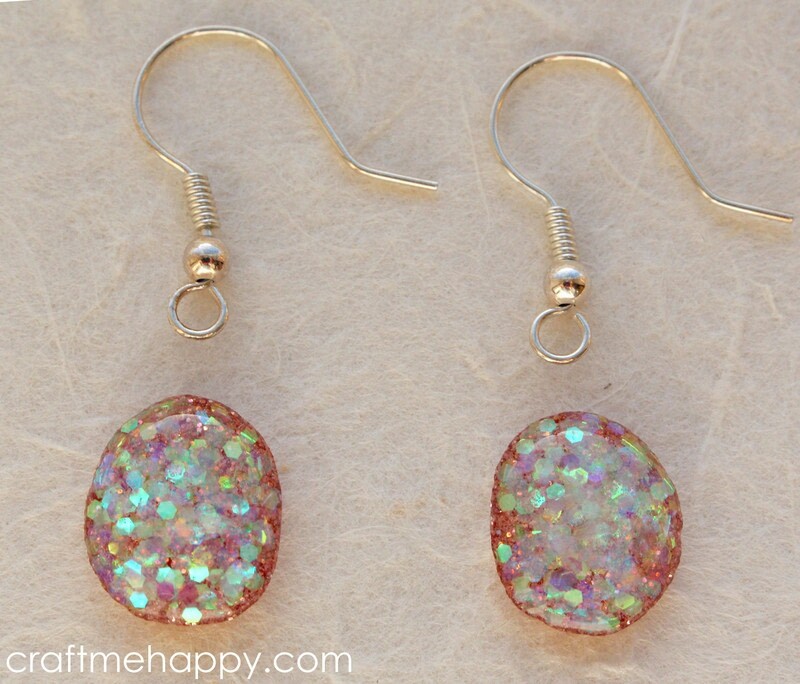 Once you've got your little gems, here are a few simple ideas for turning them into gorgeous, glittery jewellery. 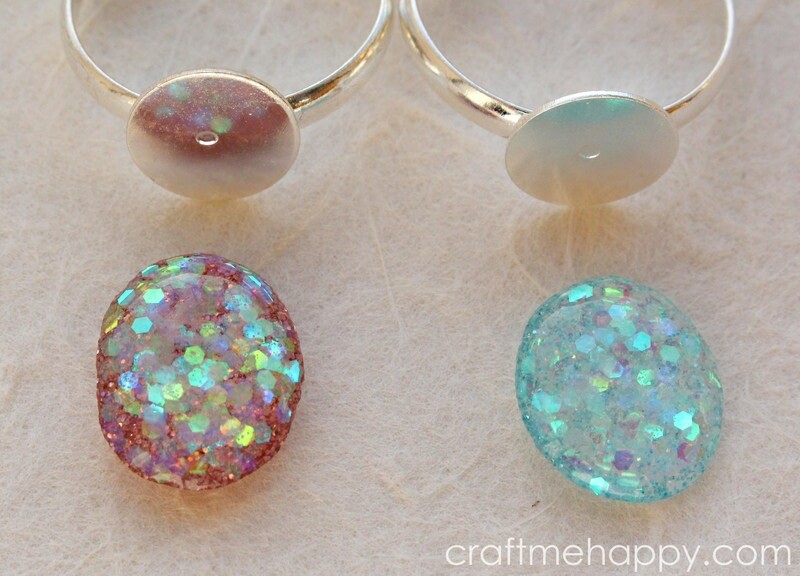 First, look through your little gems and decide what kind of jewellery each piece wants to become. 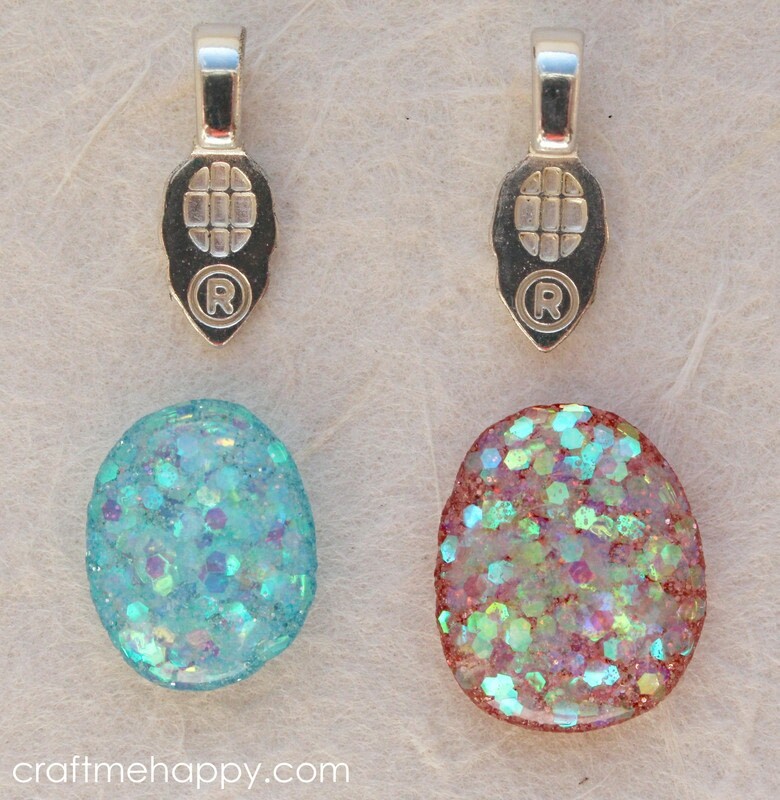 As the method doesn't use any moulds, it is almost impossible to get two stones that are identical in size and shape, but I think that adds to the hand made charm of the pieces. 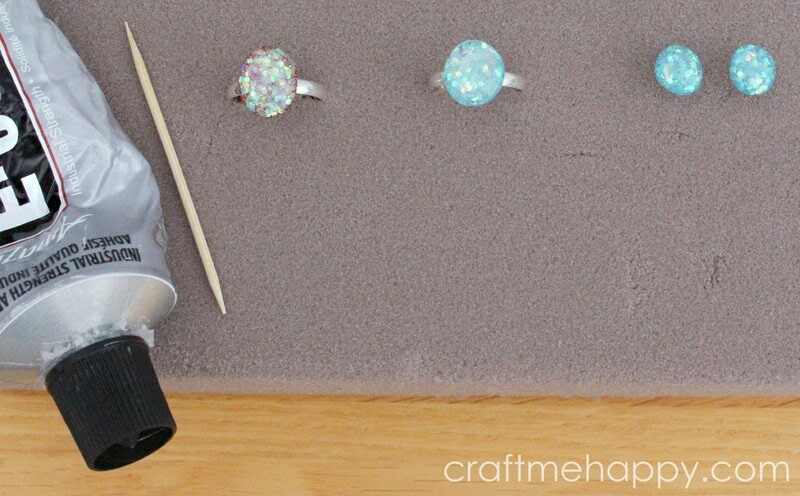 Leave them overnight and then admire your creations. 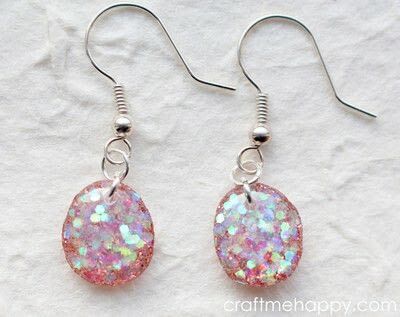 Leave them overnight to set completely and then hang them from a silver chain. 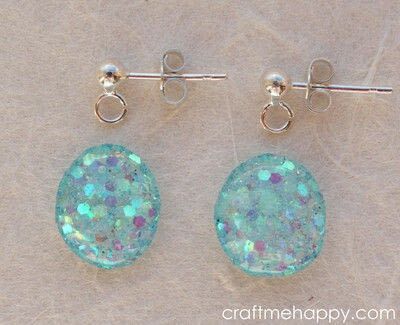 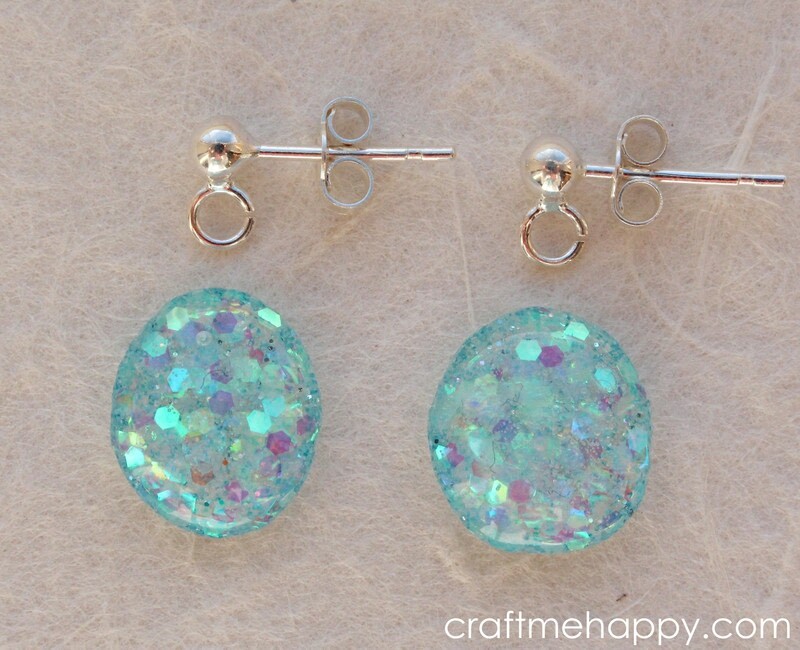 The hole needs to be about 3mm from the edge - too close to the edge and the resin will be weaker - too far and you will need a very big jump ring to attach it to the earring. 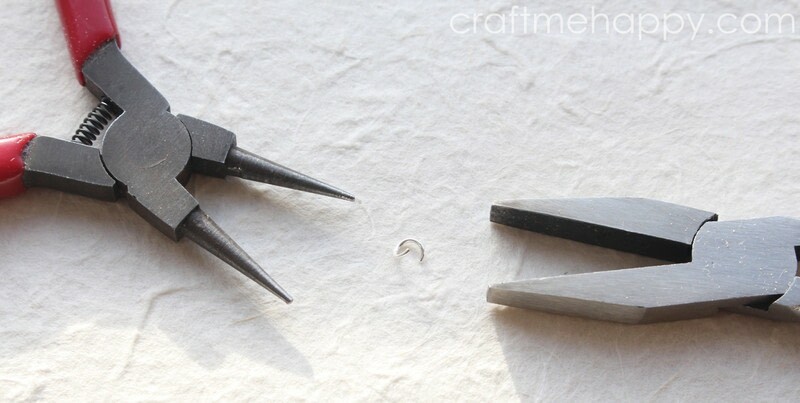 I like to draw a dot on where I want my drill hole with a Sharpie pen. 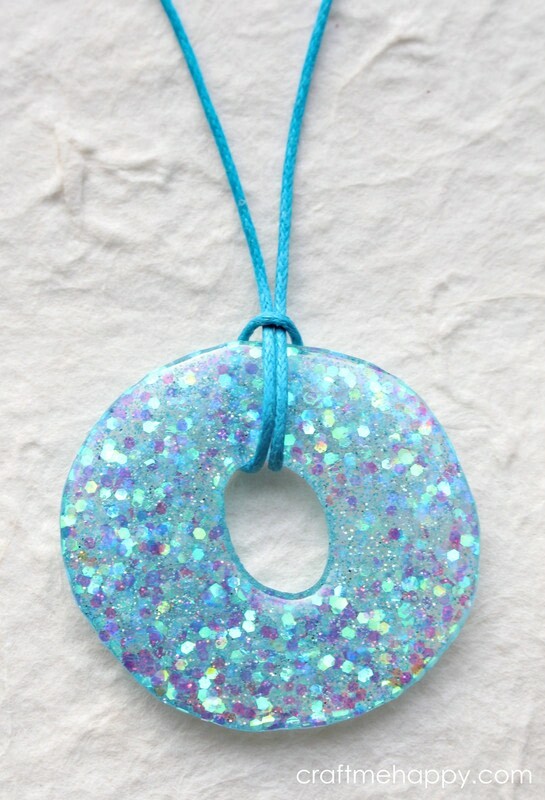 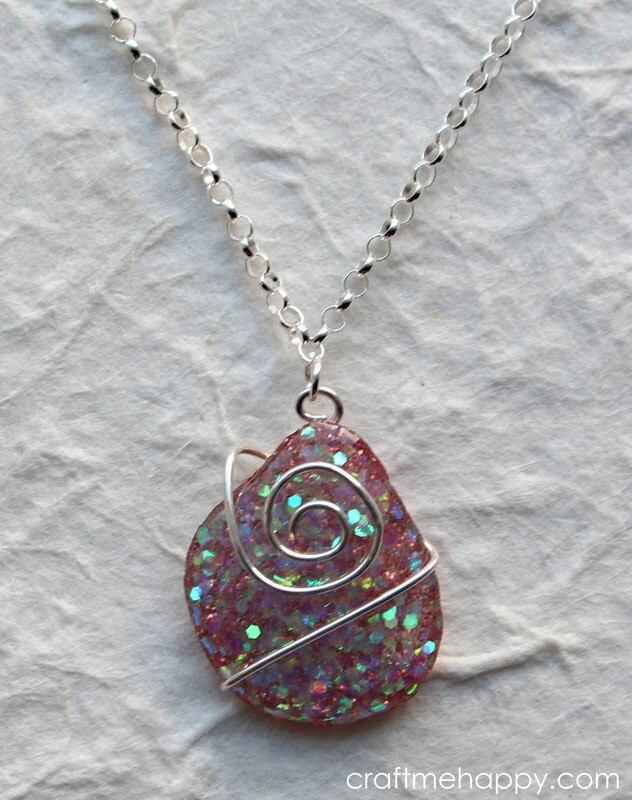 This resin doughnut looks great just looped onto some thong and worn as a long necklace. 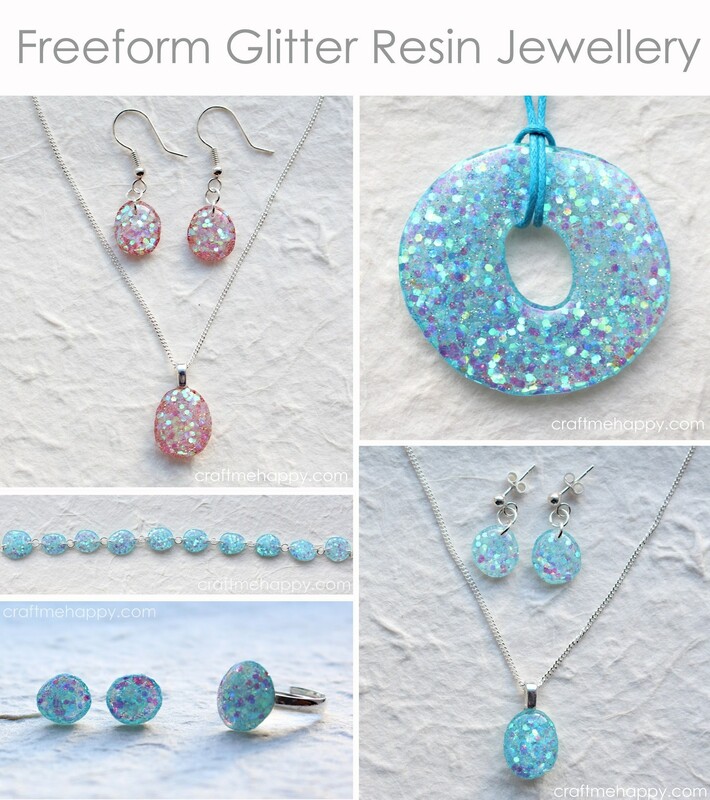 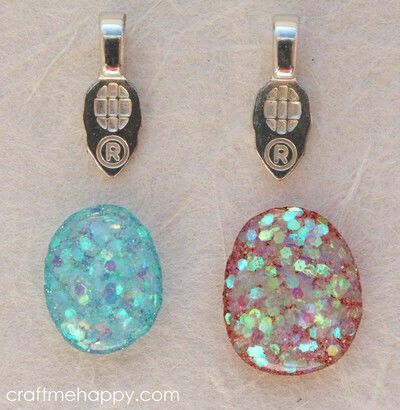 Please do have a go at my glitter resin tutorial - there's always something much more satisfying about making jewellery out of elements you've made yourself and are completely unique, rather than mass produced beads that you've purchased along with countless other jewellery makers.